Hand crafted from a wax carving and cast using an ancient casting technique. The metal is a custom blend of Silver & Copper. 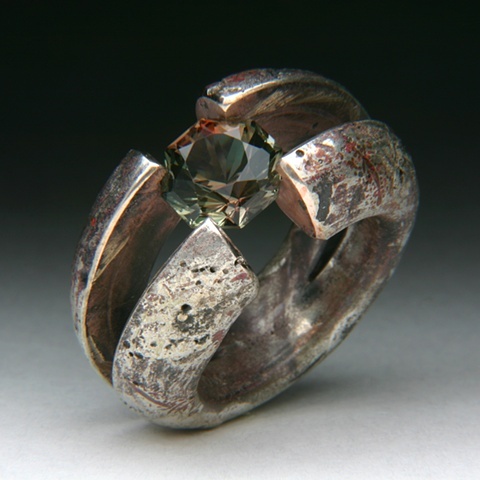 The ring is sawed in two directions to open the ring up for tension setting of the stone on all four corners.